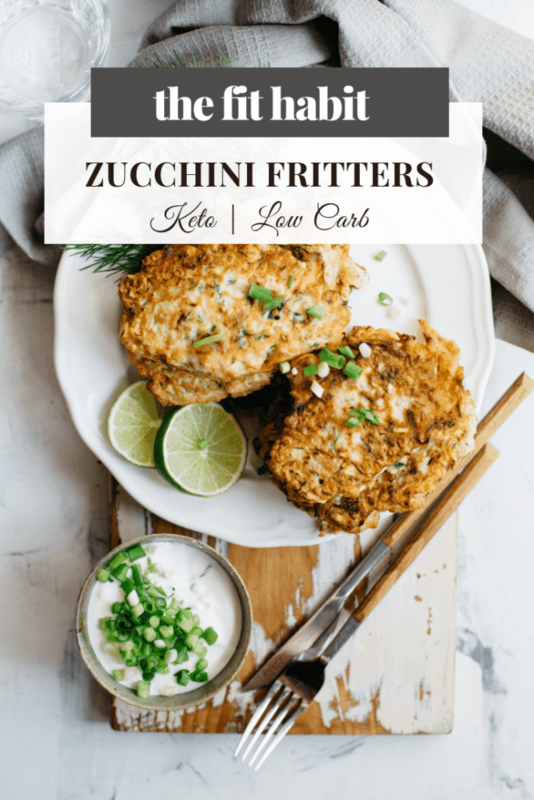 Resharing this zucchini fritter recipe not just because it’s really good, but also because it’s so funny to read my experience from the Whole 30 years ago and my first introduction to low carb eating. Now, I’m a total convert, but it’s a good reminder that it’s not an easy introduction for anyone. That has been my overwhelming thought as I’ve made my way through this Whole30 (ahem, more like Whole21) challenge. Today is day 21 for me and I’m officially done with the diet. I’m starting to do my reintroductions, which was a ¼ cup of oats for me this morning. So far I haven’t exploded, so I think I’m good. As I mentioned in my last post, I did try some oats about a week ago and I had to lie down an hour later as I was so sleepy, but we’ll see if the same thing happens today. I did have a piece of bread before dinner on Saturday night and it was probably the best thing I’ve eaten in almost a month. I was also curiously happy the next day, with a strange abundance of energy (resulting in an even more unusually clean house!). So, I don’t know what to make of all this paleo stuff. 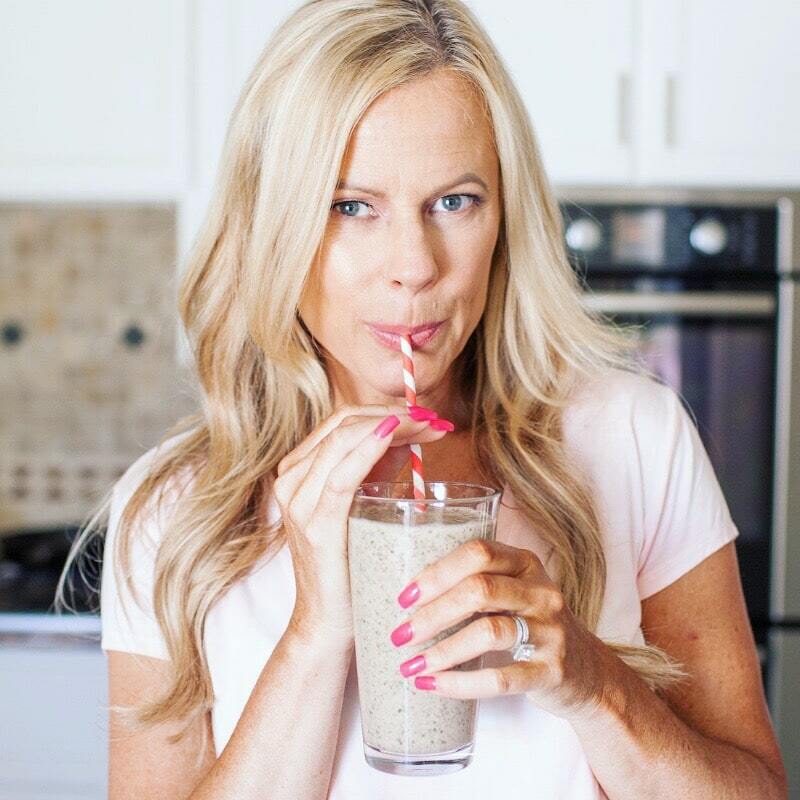 I avoided most carbs for 3 weeks, then I reintroduce them and I’m a better person for it. I can’t help but think back to day 9 of this paleo challenge, where I almost lost my mind on the sweet old lady that worked behind the desk at our local cable company. I was so grumpy, I didn’t even recognize myself. Clearly, if I’m going to function like a normal human being in this world, I need to eat more carbs. There has to be a happy medium here. It’s just a matter of finding out what it is….Anyway, by Thursday of last week, I was desperate for something other than fish. 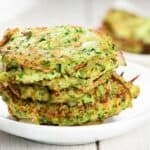 For lunch, I made these zucchini cakes and just devoured them with a protein shake. My little vegetarian meal was probably the second best meal I had all week (other than that slice of bread on Saturday night that still takes the cake). They’re easy to make and store. I highly, highly recommend. Toss zucchini in a food processor if you have one, or just grate them. Set aside in a colander over a piece of paper towel. Sprinkle salt on the zucchini mush and let it stand for a while to let the moisture out as much as possible. Coat a pan with oil, set to medium heat and place four burgers in the pan. HAVE ENOUGH PATIENCE TO LET THEM COOK FOR A FULL 3 TO 5 MINS. BEFORE TURNING OVER!! I write this in shouty capitals so that you take my demands seriously and don’t flip them too soon (like I did). I guarantee they will fall apart if you do!!!! Previous Post: « Running to lose weight? You can stop now. Your first sentence totally cracked me up, as well as your infatuation with a single slice of bread. I’d be the same way, and I really like zucchini fritters, but can never seem to get enough liquid out of them. Pesky buggers. I know!! that’s the hardest part! These look delish! I absolutely love garam masala! Have you ever tried Chat Masala? no, I’ve never even heard of it! gotta check it out!